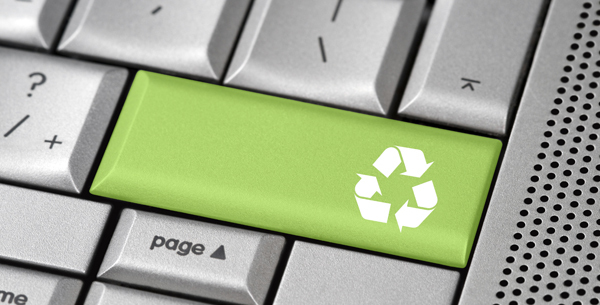 If you’re still receiving your bill in the mail, it’s easy to go green and switch to paperless statements with our Online Bill Pay tool. Once you enroll in paperless statements, you can save postage, precious time and, eventually, a tree. Online Bill Pay is our customer hub, where you can make one-time or recurring payments and elect paperless statements. To log in as a new user, all you need is an email address, phone number and your account number. Established users just need to elect to “go green” to stop paper statements. If you have not yet taken advantage of Online Bill Pay, visit the login page and follow the links for “New User?” It’s a quick process, but you will need to have your account number (which can be found on the top right side of your paper statement), your email address and your phone number. Once you submit your new user information, a confirmation email will be sent to the email address you provided. You’ll need to click the confirmation link in the email to proceed. Once you have established a new user account, you can easily set up manual or automatic payments or turn off paper statements. Follow the instructions below for existing users, which explain how to go paperless. If you have placed one-time online payments, or you use the auto-pay feature of Online Bill Pay, it’s easy to change to paperless statements. 1. Log in to your online bill pay account. 2. If your account is not already enrolled in paperless billing, you will see a link to “Go Green.” Click on this link. 3. Once you click on the “Go Green” link, you can choose to receive both a paper statement and an e-bill or an e-bill only. Once you make this change, it will be effective as of your next statement. Read more about paperless statements and Online Bill Pay on our help & support page.